Blog / Events / It’s time for the Rificolona! 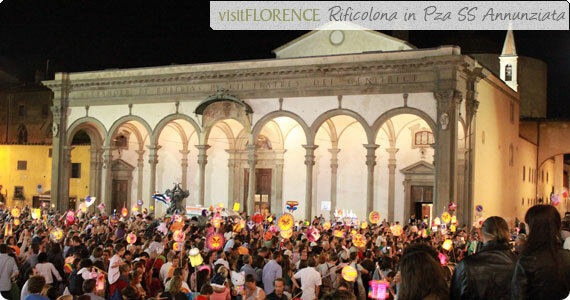 The Rificolona, or Festival of Paper Lanterns, takes place tomorrow night, September 7. Today it is more of a children’s holiday but it has its origins way back in the Middle Ages, when everyone, including farmers in the countryside, headed into Florence to celebrate the birthday of the Virgin Mary on the 8th of September, thus arriving in town the night before and having need of lanterns to guide the way. Read more about the festival here. Destination has always been Piazza SS. Annunziata since it is dedicated to the Virgin Mother, and tomorrow the traditional procession starts at 8pm from piazza Santa Felicita, passing by Ponte Vecchio, piazza della Signoria and piazza del Duomo, to arrive at piazza Santissima Annunziata by around 9:30pm where the most beautiful Rificolona will receive a prize. Children are accompanied by parents but the entire piazza gets full with lots of lanterns, we recommend you buy one at any paper shop and join in to feel like a local! They are actually all very pretty. On September 8th, the piazza is still the site for a farmer’s market while the Cathedral opens up the rooftop terrace (1-4pm) and the bell tower (8.30am-7.30pm), the Baptistery (8.30am-2pm) and the Museum of the Opera del Duomo (9am-1.45pm) will all be open for free visits. The cupola will be closed. 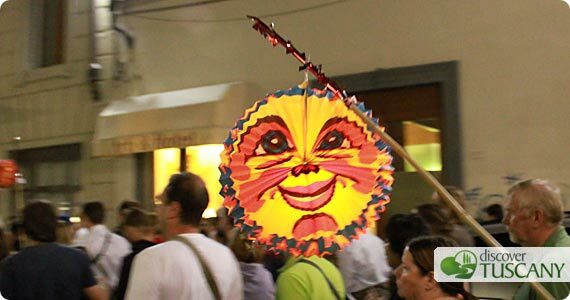 At 9pm you can also head to the Arno to see the Canottieri di Firenze do a lantern parade on the boats along the river. If you have children, you can have them participate. Starts at 9pm.